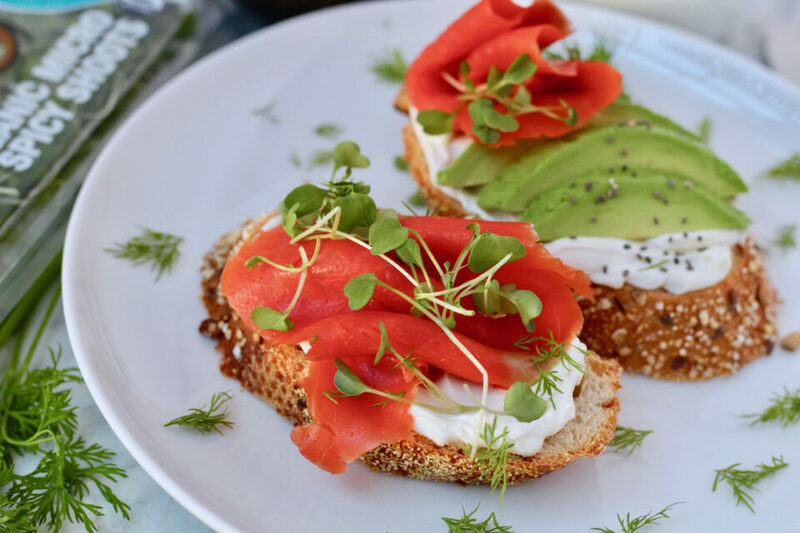 Spice up your Valentine’s Day breakfast routine with this Smoked Salmon Avocado Toast. 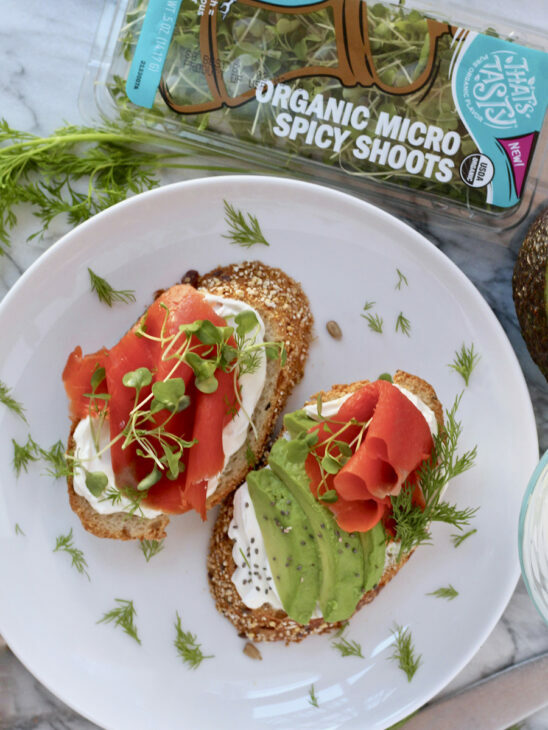 Score big time with our combination of salty salmon, savory avocado, and velvety cream cheese that is rounded out with a squeeze of juicy lemon, sprinkle of fresh dill and finished with our organic micro spicy shoots. 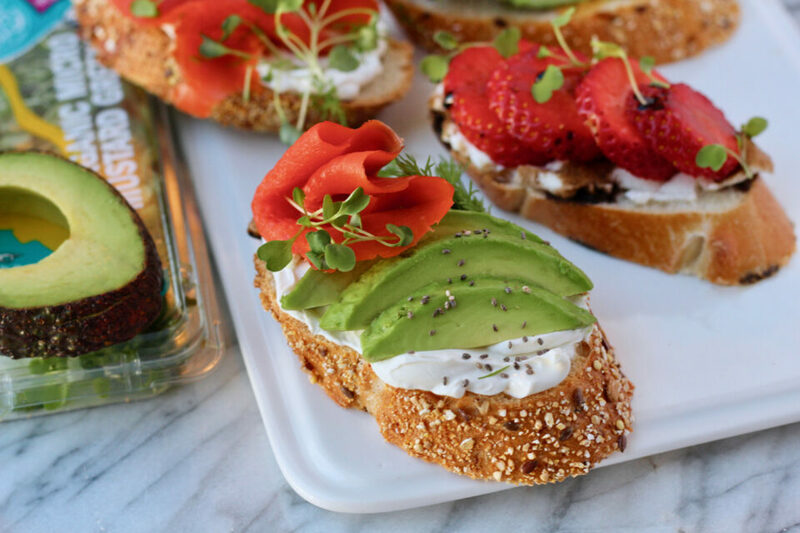 This simple toast is the perfect way to kickstart your Valentine’s Day with a bit of luxury. Skip the French Toast and go for this lavish combination instead. They’re amazingly easy to prepare and come together in less than ten minutes. Impress your sweetie with a breakfast they’ll be thinking about for the remainder of the day. Additional ingredients you might like: Capers, Tomato, Red Onion, Cucumbers, a splash of Soy Sauce and/or Fresh Cracked Pepper. If you’re looking for an extra boost of protein, add a Poached Egg! 1. Toast the bread and pile high with your preferred ingredients listed above. To make the meal complete, serve alongside your favorite coffee or juice. Toasted baguette topped with ricotta, fresh strawberries, aged balsamic vinegar, and micro arugula. 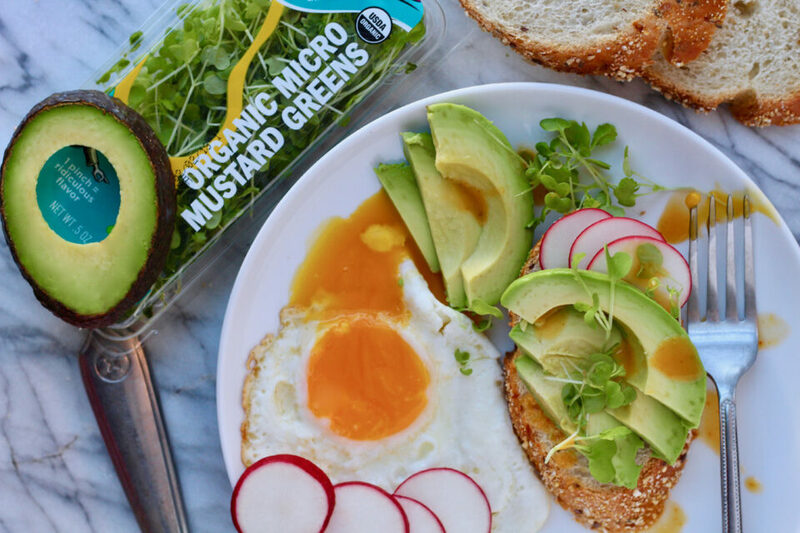 Seeded Rye topped with burrata, avocado, a fried egg, sliced radishes, and micro mustard greens. If breakfast isn’t your cup of tea, you can alternatively serve this as a pre-dinner starter with a glass of wine or cocktail. Simply cut the bread into bite-sized portions or serve the toppings on smaller baguette slices. This recipe is extremely versatile… so feel free to serve for breakfast, lunch or as a dinner appetizer!